Find a car for sale online Hamilton – Budds’ BMW Hamilton. It is easy to find a car for sale online in Hamilton when you visit our Budds’ BMW Hamilton website. Looking online for vehicles is becoming more and more popular in today’s digital age. People want the convenience of being able to access anything they want from their mobile devices, or from the comfort of their own homes. Budds’ BMW Hamilton has been able to recognize this need, and has provided our valued customers with a high-quality website where our customers can choose from hundreds of premium BMW vehicles. It doesn’t matter if you are looking for an SUV, pickup truck, sports car, coupe, or sedan, Budds’ BMW Hamilton has got what you are looking for, and we guarantee that you will be able to find a car for sale online Hamilton. 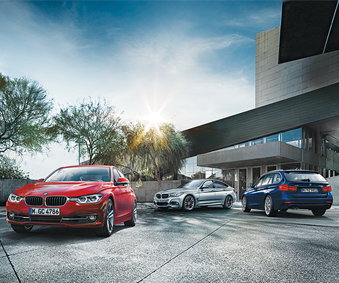 Quality pre-owned cars at Budds’ BMW Hamilton. With over 30 models of pre-owned BMW vehicles in stock, Budds’ BMW Hamilton offers our clients a variety of SUVs, sedans, coupes, pickup trucks, and sports cars. All of Budds’ BMW Hamilton’s certified pre-owned vehicles are thoroughly inspected and tested to make sure they meet the strict standards of the manufacturer and our BMW dealership. When you find a pre-owned car for sale online in Hamilton you will not have to sacrifice the quality of performance with the purchase price. Our vehicles are guaranteed to give every driver an exhilarating driving experience when they are behind the wheel. Once you find a car for sale online in Hamilton in the pre-owned category, you can schedule a test drive right from the website, or you can directly call one of our knowledgeable representatives, and we can schedule a test drive or you. When you want to find a car for sale online in Hamilton that is brand new, consider visiting Budds’ BMW Hamilton’s online inventory. BMW is a premium car brand that is very reputable and well known around the world; we can get you behind the wheel of a brand new exceptional driving machine that is sure to give you an exhilarating experience. The beauty of looking for new cars on our website is that you can either choose from our vast inventory of new cars, or you can build your own premium BMW vehicle. With this feature, our customers are able to choose a specific model of BMW and then customize it exactly how you want it. You can change the color, transmission, interior color and material, wheels and tires, and the technology used for features like navigation, backup camera, heated steering wheel, and smartphone connectivity. If you have the budget to spend on a brand-new BMW vehicle that you can create and have delivered, we recommend utilizing this feature on our website. We have made it easy for you to select the BMW vehicle of your dreams, whether it is new or pre-owned, you will be able to find a car for sale online in Hamilton. Please feel free to give us a call or schedule a test drive on our website. We are here for you, and we pride ourselves on helping our customers get behind the wheel of one of our exceptional driving machines. Budds’ BMW Hamilton has got the car for you!